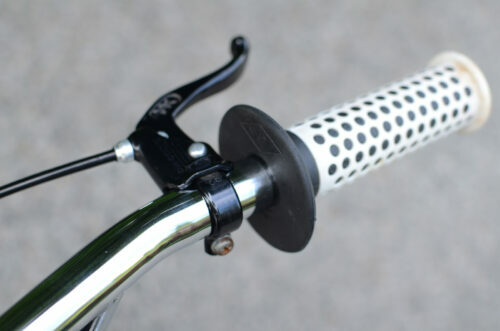 SKU: KP0406. 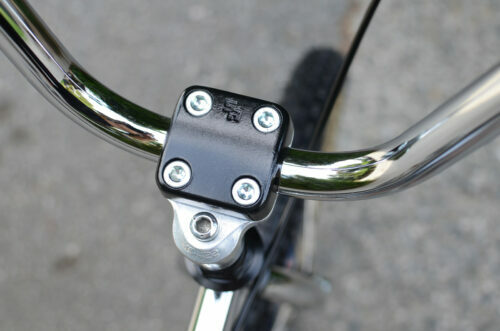 Categories: Complete BMX, Kuwahara, Pantera. 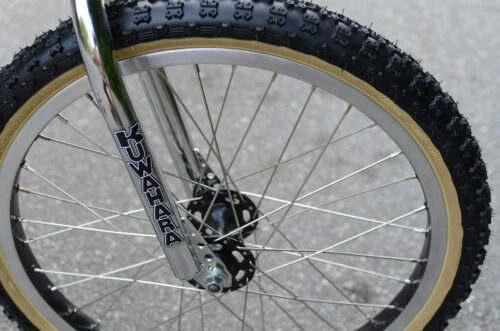 Tags: 1983 Kuwahara KYZ Gold Edition, Gold Kuwahara, Limited Edition Canada. This is a RARE Kuwahara PANTERA model with oval downtube like the Laserlite!! 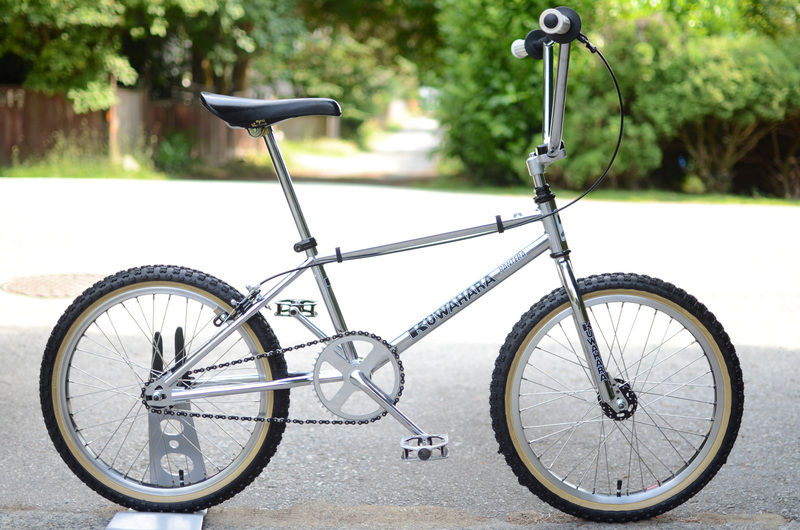 Made from 1983 – 1984. 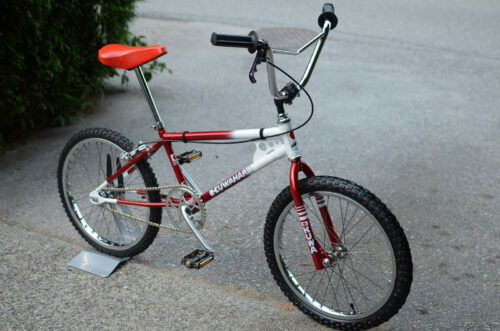 There are not many of these around. 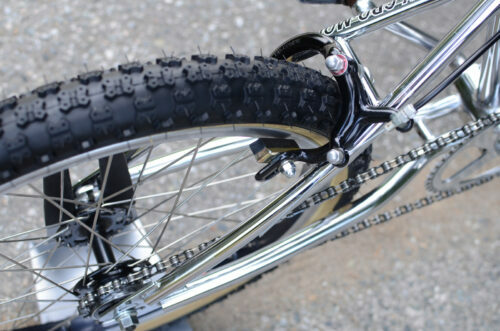 You see more Kuwahara KZ-1, Laserlite, or 24″ Cruiser models come up for sale than these. 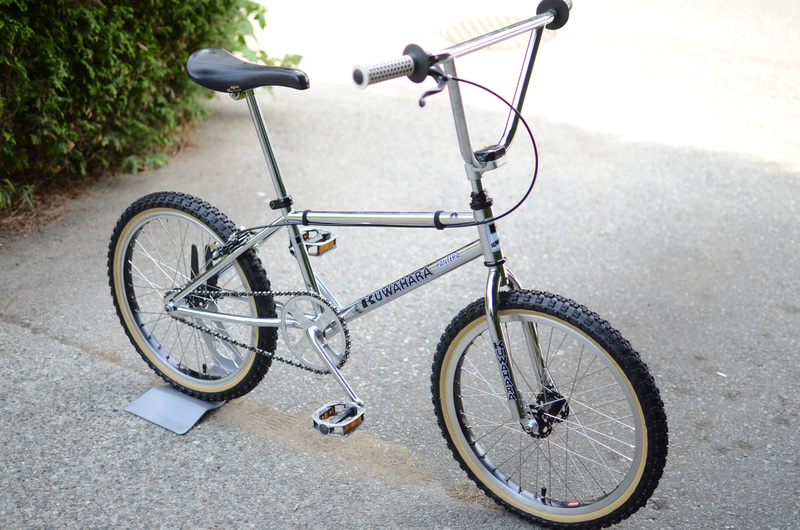 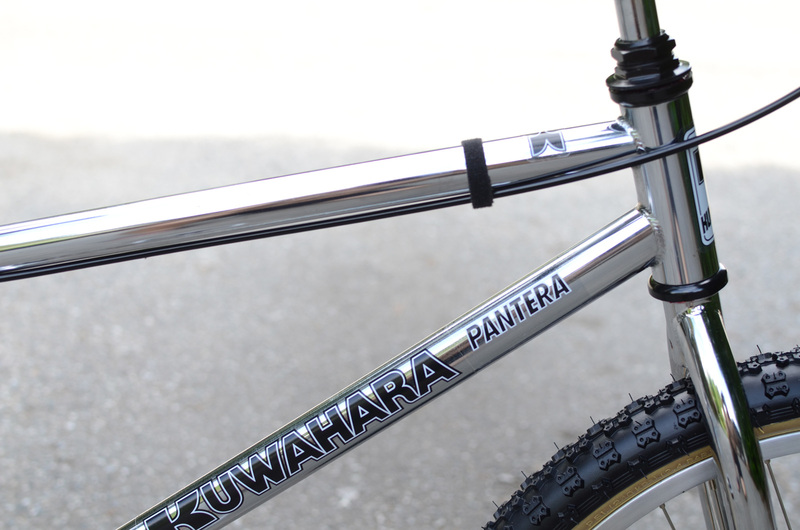 If you are a Kuwahara collector, this “Upgraded” Pantera is a must have for your collection. 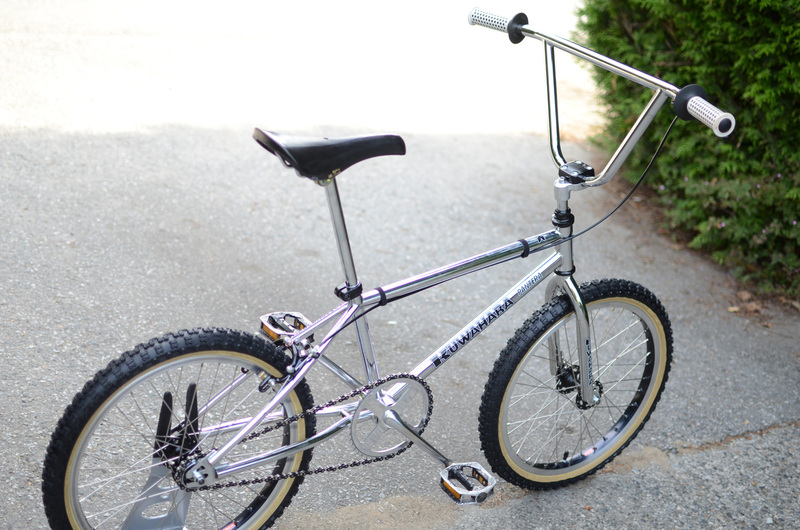 First, the chrome is beatufiul all around on this Pantera. 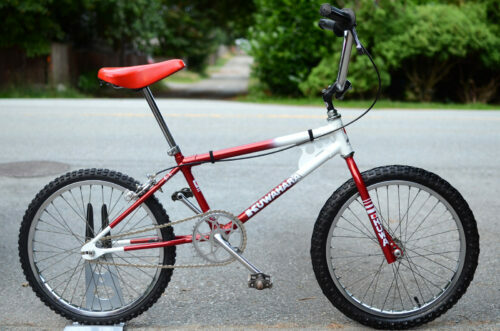 Second, Panteras came with low end parts and only the frame was full chromoly. 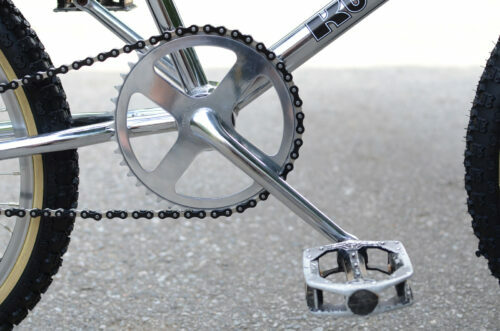 All the other parts were knock off Suntour or Sugino type parts. 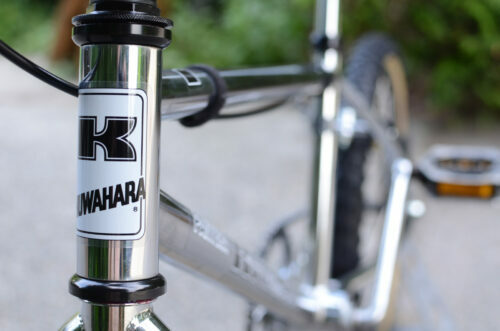 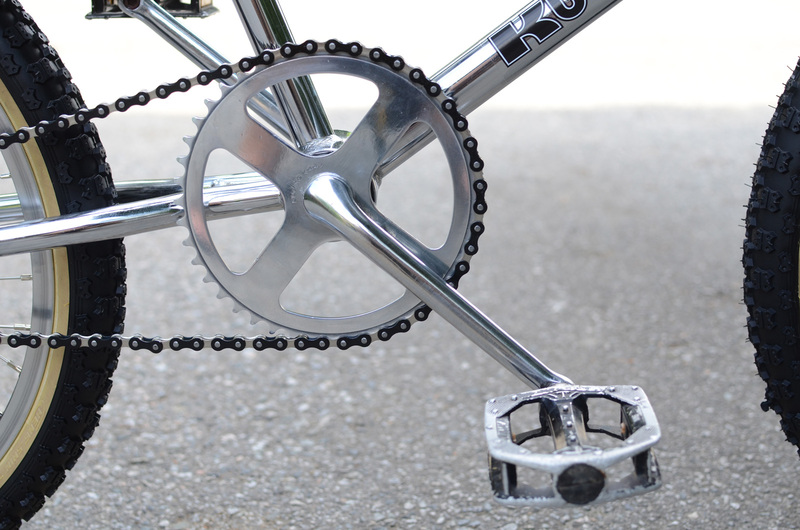 This one has been upgraded to high end parts like other Kuwahara’s. 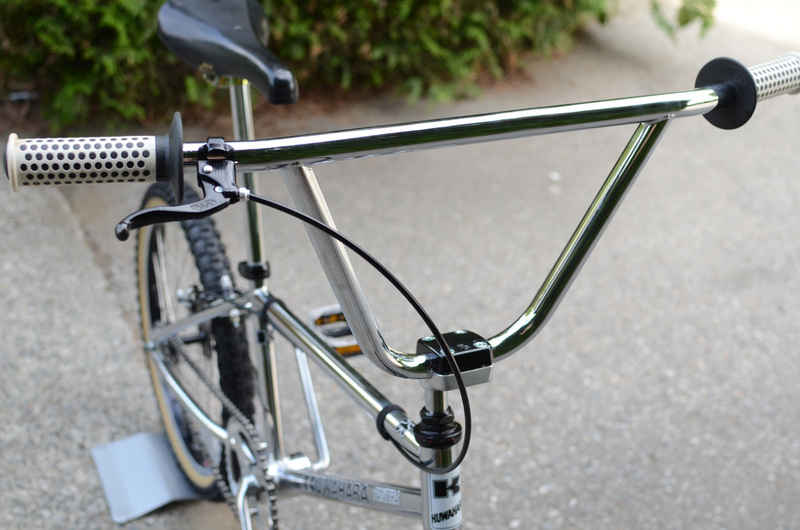 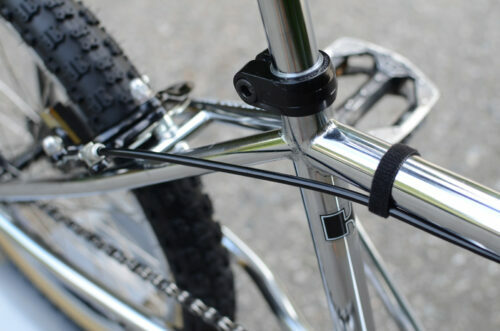 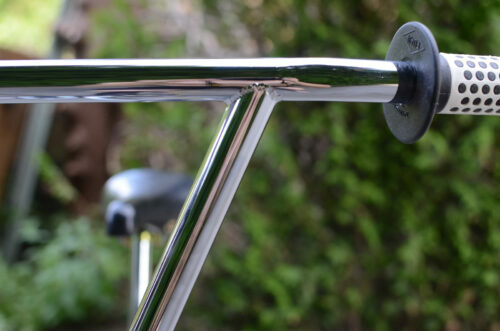 Forks (Upgraded) – Full Chromoly in Excellent Like-New condition w/ beautiful tig welds.